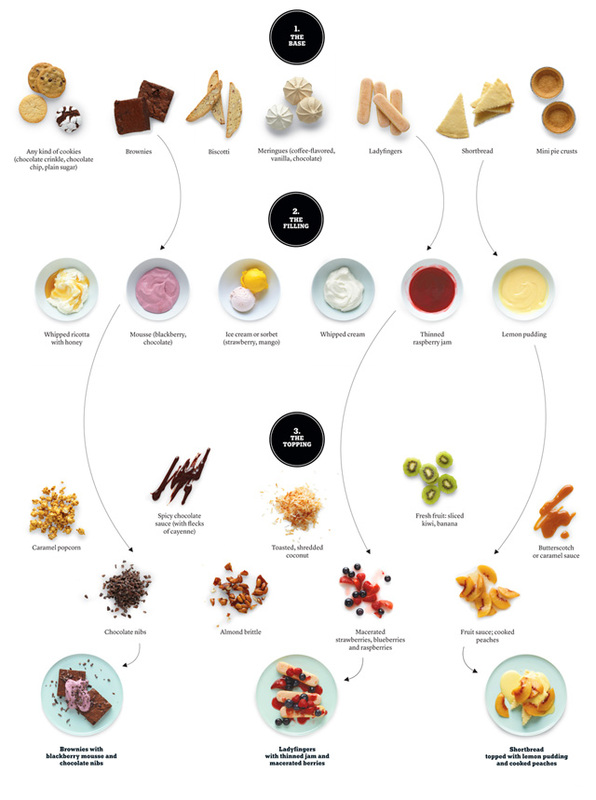 The No-Fuss Dessert Generator is an online detailed poster that shows how to create nearly 800 different desserts. It was created by How to Cook Everything series author Mark Bittman for The New York Times (who is also behind the The Everyday, Anytime Egg-Combination Generator). …So fill a pie crust with chocolate mousse and add some caramel corn (why not?). Or try a slice of shortbread with lemon pudding and peaches. The 7-year-old you would have put the caramel corn and the peaches on the mousse, and that’s O.K., too. The animating spirit behind the dessert bar is endless variety. There are almost 800 variations here alone. Better get started.